Henrik Fisker. Photo courtesy of Fisker Inc.
Back in August, Fisker Inc. chairman and chief executive officer Henrik Fisker joined the advisory board at motec ventures, an auto and mobility tech investment group out of Berlin. Motec is a collaboration of the e&Co. AG auto and mobility consulting firm in Germany and the Venionaire Capital venture capital firm out of Austria. In that news release, Fisker said: “I am extremely excited to join motec’s advisory board and support the team in finding new and untapped brainpower and technological innovation across Germany, Europe and the globe that will help transform mobility even more by creating better experiences. 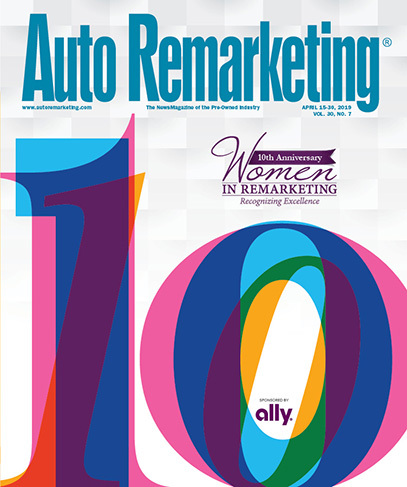 Shortly after the announcement was made, Auto Remarketing caught up by phone with Fisker, well known for his pioneering work in automotive design and electric vehicles. Fisker had done some work with e&Co. in Europe, “and as I worked with them, we were discussing different approaches to mobility worldwide,” he said. “When they asked me to join motec, I thought it would be interesting, because we’re specifically looking at startups in Europe, and obviously a lot of European cities are very different, too, specifically where I live in Los Angeles, where you’ve got giant freeways running through the city,” Fisker said. “And then you’ve got these ancient cities in Europe which probably have to tackle some of their congestion systems differently … and then on top of that, we are of course working a lot of new technologies, and I also wanted to have access to some new thinking worldwide. “So looking at these very young, early startups, I thought would be very interesting. And then of course also just help getting some of them funded and getting off the ground, as I think there’s a big change in the automotive environment where a lot of smaller companies probably will take part of this sort of automotive revolution that we’re in the middle of,” Fisker said. Asked where around the globe he thinks are the opportunities for mobility tech investment, the general line of thinking, of course, is Silicon Valley and California. “But in this case, we’re looking specifically in Germany and central Europe,” he said. “And Germany obviously, because it has still a very big car industry with a lot of car companies. And therefore, there’s also a lot of just general automotive knowledge lying with Tier One, Tier Two suppliers and startups. “So, we really wanted to sort of get access to some of that knowledge and see if there are some interesting technologies that are getting developed specifically in Germany and countries just around Germany — Switzerland, Austria, etc.,” Fisker said.